Gilson - Hawcreek Township H. S. "Trojans"
Gilson (population approximately 250) is located in upper-western Illinois about 10 miles southeast of Galesburg. 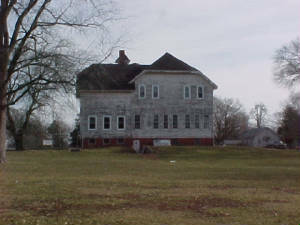 The town was platted in Haw Creek Township in the lower-central portion of Knox County in 1857. Knox County Highway 12 is the main road to Gilson. County Highway 12 connects Gilson to Illinois Route 97 just west of Gilson. The At & St Railroad travels through Gilson as well. Branches of the Little Haw Creek flow by the north and east sides of town. An interesting history of Haw Creek Township and the town of Gilson, written in 1870, is available at http://www.iltrails.org/knox/Township_Histories/Haw_Creek_Twp_history.html. 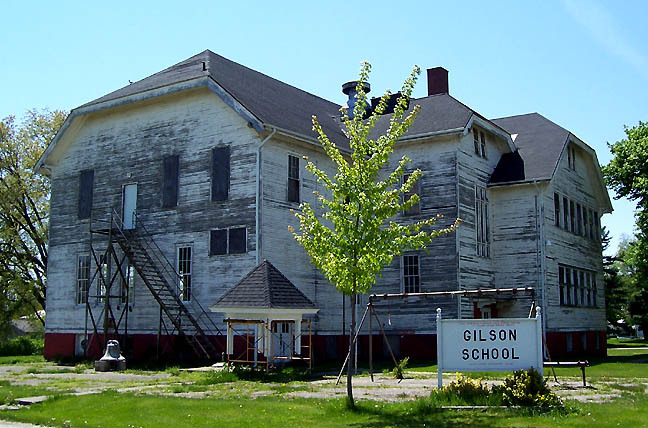 In this history it is stated that by 1870 Gilson had developed a grade school for its children. There is also a great "shoot out" story from the pages of the "old west" that took place in Gilson on this page as well! 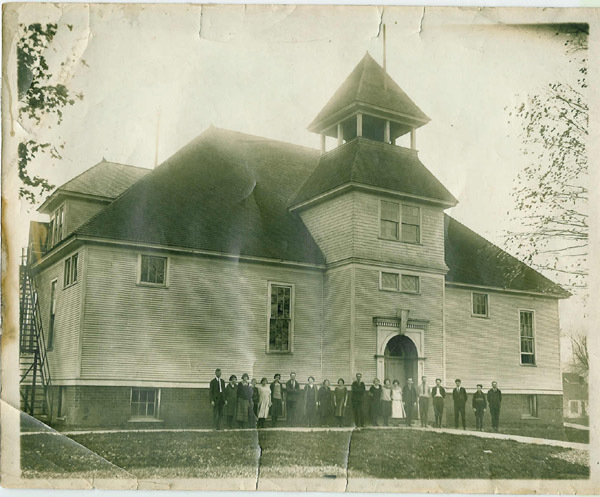 An incredible website regarding the history of the Gilson - Haw Creek Township School System is found on the website http://gilsonschool.homestead.com/history.html . According to this site, the high school for Haw Creek Township was formed in 1902. 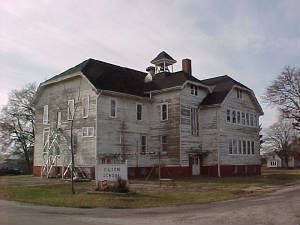 The Haw Creek Township High School building was built in Gilson in 1903. The first graduating class of five students earned thier diplomas in 1905. 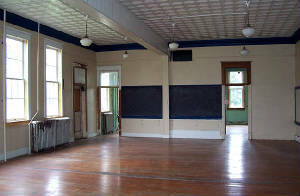 In 1928 a gymnasium was added to the school in a VERY unique way. 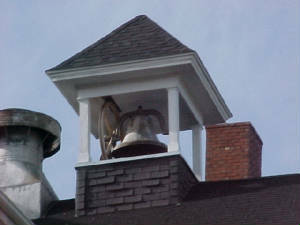 They built it on the second floor of an addition that included classrooms on the first floor. The Gilson -Haw Creek Township High School was quite innovative for a small town school district. Gilson School District was the first to use buses for transportation to and from school in Knox County. They also utilized field trips and other forward-thinking ideas to enhance the learning experience for their children. The consolidation effort of the State of Illinois caught up to many small schools in the late 1940s. Haw Creek Township High School in Gilson was one of those caught in this effort. Gilson - Haw Creek Township High School closed in 1948, keeping only a grade school for kids in K - 6 open. All other kids in grades 7 - 12 attended school as part of the Knoxville School District after the closure. 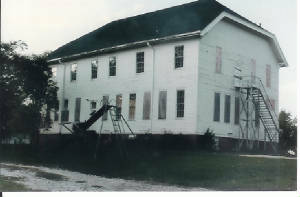 The grade school closed in 1977 with all classes now held in Knoxville. The original Gilson - Haw Creek Township High School building we believe is still standing proudly in town. A very rare feat for an older wooden school building of its size. A good fan of the area, Denis Shenaut, tells us he and others played basketball in the gym through the early 1980s. You may also phone me at 309-462-2293 I will be at Gilson School Ice Cream Social July 16, 2006 from 2p to 5p with my book and visiting with guests." School team nickname: the "Trojans"
We know that Gilson Haw Creek Township High School competed in basketball. They may have also played softball or baseball and track. Unfortunately there is no listing of the accomplishments attained by the athletes of the school on the IHSA website (www.ihsa.org) . If you have this information and would like to share it please follow the directions below.